This music was for when the guests were arriving. We wanted it to be a nice ambient/”loungecore” kind of vibe, in keeping with the tropical surroundings of the venue. 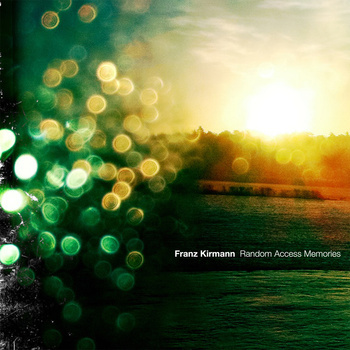 An extra nice touch was that Franz Kirmann was a guest at the wedding (Cassie knows him from her time at London Film School), so we wanted to include some of his music in there. You can enjoy most of these tracks (all the ones I could find) on this specially-created playlist I created on Spotify. * This Eno track was also on the hugely successful Trainspotting soundtrack. It’s used during the sequence when Renton dives into an overflowing toilet to retrieve his opium suppositories which he has lost due to no longer being constipated after coming off heroin. We felt this was an appropriate piece of music for our wedding. ** Our friends Daneeta and Patrick, who were also at the wedding and did some other photos, shot the video for Liza. under their artistic collective name Elektrik Zoo. *** I love this little piece. It’s twinkly and bleepy, and it reminds me of the music on the TV series. **** This got me into Herr Schnauss. Beautiful wash of voice and sound. Talking to Franz (or Francois as he’s actually named) afterwards, he said that this stuff was a bit wet, and recommended some more intricate stuff. I think there’s a place in my mind for both wet and intricate. I must rest now. This entry was posted in Wedding and tagged Music on 2011-09-01 by mjp.